Cristiano Ronaldo beat Lionel Messi and Neymar to retain his crown as the Men’s Player of the Year at Fifa’s Best Football Awards 2017 in London on Monday night. 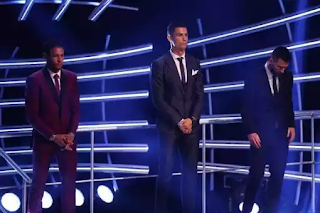 The ceremony – which took place at the London Palladium – is the second since the Fifa award once again split from France Football’s Ballon d’Or prize last year. 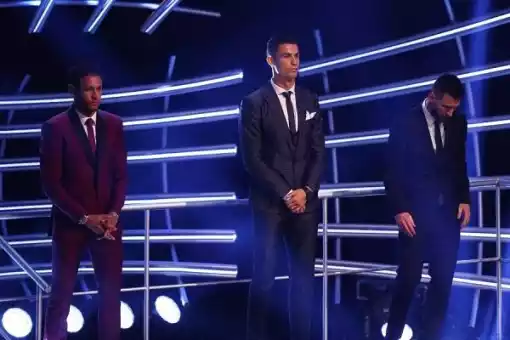 “Thank you a lot to the guys for voting for me,” Ronaldo said. “(I want) To give a mention to Leo and Neymar to be here, Real Madrid supporters, my team-mates, my coach, my president – they support me all the year so I have to say thank you to them. Real Madrid’s French coach Zinedine Zidane won the manager of the year trophy for his part in the club’s success while Lieke Martens won the Women’s Best Player award after a fine year in which the Barcelona star won Euro 2017 with Netherlands. Here is the full list of winners at the 2017 FIFA Best FIFA award. 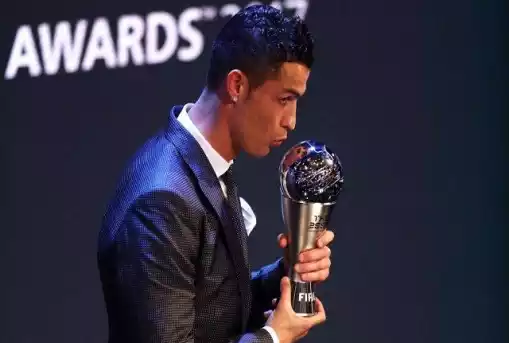 0 Response to "Ronaldo Wins Best Player Award | Here’s The Full List Of Winners Of 2017 FIFA Best Football Awards"